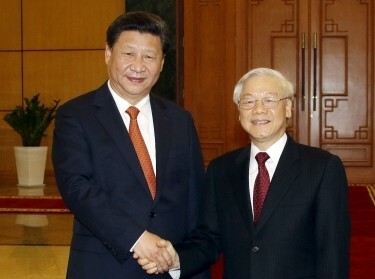 As China continues to expand its military presence in disputed areas of the South China Sea, Vietnam has sought to balance Beijing's activities through a combination of deft defense diplomacy and sensible military modernization. On the latter point, analysts have spilled much ink in recent years assessing the Vietnam People's Army's (VPA) procurement or indigenous development of specific weapon systems. 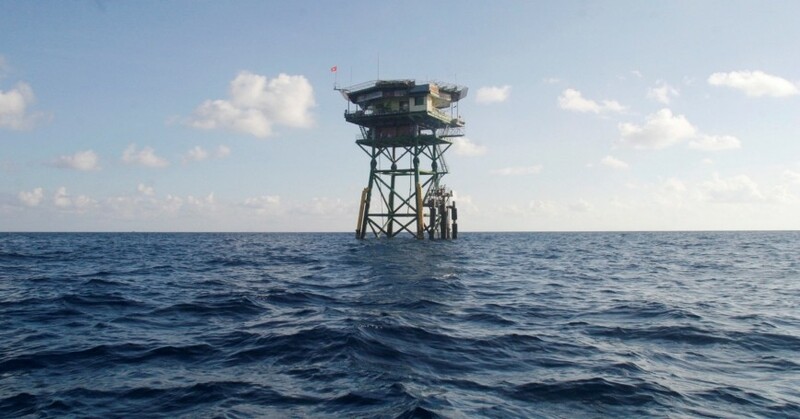 Yet comparatively little has been written on the thought process behind acquisition of these new capabilities, and whether Vietnam has a military doctrine or concept of operations in place to effectively guide their employment in future South China Sea conflicts. This is unsurprising given the highly secretive nature of Vietnam on all matters military. Vietnam's Ministry of National Defence (MND) rarely publishes authoritative defense white papers (it did so in 1998 (PDF), 2004 (PDF), and most recently in 2009 (PDF)) or comments publicly on military planning. Moreover, Vietnam military think tanks and defense academies, such as the Institute for Military Strategy, only occasionally offer snapshots of the VPA's thought process regarding concepts of operation. Thus, researchers must painstakingly read the tea leaves to begin to scratch the surface of what is happening behind the scenes. Over the last two years, we have conducted precisely this type of research and analysis, and we offer some initial thoughts here. For starters, we do not know whether Vietnam has a military doctrine for combat in the air and maritime domains—especially one in the Western sense of the term. We are very confident, however, that the VPA has two overarching principles that impact all military planning. 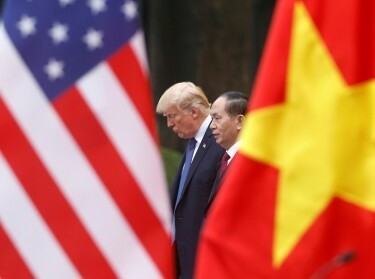 First, Vietnam prioritizes defense—or perhaps more accurately and to steal the Chinese concept, an “active defense”—over offense in military operations. This is simply to say that VPA thinkers tend to suggest that the best strategy is to identify threats and quickly prevent them from changing the status quo in the South China Sea. 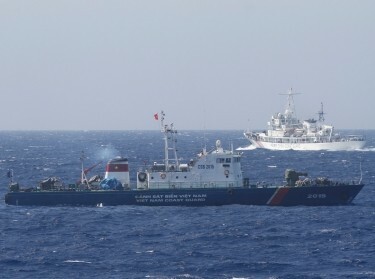 To carry out people's war at sea, the VPN has said “we need to exploit our geography, especially our caves and islands as places to station and hide our ships and to support operations logistically.” According to well-known Vietnamese military commentator Le Ngoc Thong, submarines are best suited to asymmetric combat because they are quiet, quick, and small—likely the reason Vietnam in 2009 purchased six Kilo-class submarines. Additionally, the VPN's purchase of ground mobile “fire and forget” anti-ship cruise missiles, such as the Bastion-P, could give Vietnam the opportunity to attack Chinese surface vessels without exposing itself to substantial risk of retaliatory fire. Launching a people's war at sea has also meant leveraging Vietnam's people power—a hallmark of communist ideology absorbed over the decades by many Vietnamese while training in Soviet and Chinese military academies. As such, Vietnam in April 2014 established the civilian-run but lightly-armed Vietnam Fisheries Surveillance Force (VFSF). The VFSF patrols the waters and complements growing numbers of Vietnam Coast Guard (VCG) vessels, which might be operating under more lenient rules of engagement soon. Additionally, MND recruits local fisherman and outfits them with infrared vision and communications equipment to monitor fishing disputes. According to one Vietnamese estimate, this fishing militia now features 8,000 boats and works closely with VPN, VCG, border guards, and fishermen to monitor and report sovereignty violations. The goal is to prevent an embarrassing repeat of the May 2014 oil rig incident with China. After placing an oil rig in disputed waters, Beijing sent an overwhelming number of coast guard vessels and fishing trawlers, supported by naval and air assets, to patrol the waters and aggressively ram Vietnamese vessels out of the way. There is much less information available on the VAD-AF's concept of air operations. Nevertheless, it is clear the objective is to provide cover to naval and maritime forces in a defensive position. The chief of VPA air defense, for instance, underscored that people's air defense units “can deploy quickly, create low to medium altitude air defense to protect units…in support of national air defense in countering hostile forces.” Otherwise, it appears the VAD-AF's fixed-wing aircraft, such as Su-30s, are only tapped when absolutely needed. In the words of a Vietnamese National Defense Academy official, the “air force may even be used if circumstances permit” in a counter-attack scenario—underscoring that any employment of military aircraft in any situation would be quite extraordinary. Notably, we have seen no references to air-to-air operations. Going forward, Vietnam clearly has guiding principles for how it seeks to wage combat in the South China Sea, and has acquired many useful weapons systems to do so. However, Vietnam's evolving military doctrine will certainly be tested by the VPA's unfamiliarity with combat in the sea and air domains. Far longer distances and unpredictable weather conditions in the region pose just a few of the many new problems the VPA will encounter in the South China Sea. As a historically land-centric military, the VPA will have to think more deeply—and train more regularly and realistically—in these domains to stand the best chance in a future conflict. Derek Grossman is a senior defense analyst at the nonprofit, nonpartisan RAND Corporation. He formerly served as the daily intelligence briefer to the Assistant Secretary of Defense for Asian and Pacific Security Affairs at the Pentagon. Nguyen Nhat Anh is a master student at the University of California San Diego's School of Global Policy and Strategy, where he focuses on international politics, economics and strategic studies. He also worked at the Center for Strategic & International Studies' Reconnecting Asia Program, and with the United Nations in Bangkok. This commentary originally appeared on Asia Maritime Transparency Initiative on May 11, 2018. Commentary gives RAND researchers a platform to convey insights based on their professional expertise and often on their peer-reviewed research and analysis. Previous Blog PostThe Limits of Russian Strategy in the Middle EastNext Blog PostDo States Need Their Own Trade Policies?